What do we mean when we say that Jesus is the “Son of God”? And why does the title matter? Maybe you have pondered these things, and it has never quite made sense. You wouldn’t be alone, the question is a common one; and especially with current controversies over how the title should be translated in Muslim contexts, a voice of sanity is needed. D. A. Carson is such a voice, and intends for his book Jesus the Son of God to “foster clear thinking” (p12) on these issues. This book is split into three chapters, which were originally delivered as three talks at RTS. In the second chapter we zoom in and examine two texts closely, Hebrews 1 and John 5:16-30, in order to see “what the New Testament writers meant when they declared Jesus to be the Son of God” (p42). 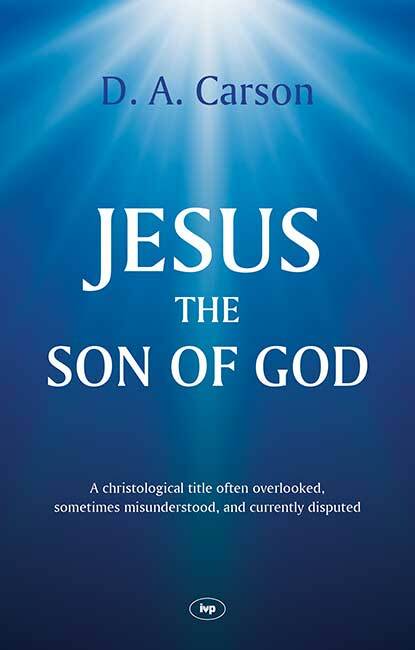 The insights in this section are too many to list in this review; in both texts Carson digs deep and traces Old Testament connections and expectations, and examines Jesus’s sonship as Messianic King, and also His unique divine sonship. In both texts we see that Jesus’s sonship, and thereby His relationship with the Father, is utterly superior and unique compared to all others. In the last chapter, Carson then applies these collective observations to the current translation debate in Muslim contexts. For those unaware of the issue, I would recommend this Christianity Today article from 2011 as a starting point. As a world-renowned Biblical scholar, Carson’s wisdom on this issue is much appreciated. He carefully leads the reader through a complicated issue, avoiding oversimplification on either side, and ultimately appeals for the title to be retained (but explained) in Bible translations for Muslim contexts, lest too much be lost in the process. There is much to commend in this short book. Firstly, Carson’s expertise must be recognized in dealing so ably with this topic and making it so approachable. Many others would require far more space to cover the same ground, and lacking the clarity as we find in Jesus the Son of God. There were a few times where Carson’s language may be a little difficult for the average reader; in his more popular-level works Carson at times seems to forget his audience and slip into academic-speak for a paragraph or two. This should not turn off any readers though, as there is a gold mine of insight available to all in this small book. I doubt anyone will be calling me for my opinions on how to translate “son of God” language in Muslim contexts anytime soon, but I am grateful for Carson’s thoughts on this topic. I am sure many will take his input seriously, and I hope it will advance the discussion. Some may think this book is purely for an academic or missional audience, but it is not so! This topic is for all Christians, and Carson constantly draws the reader to understand our Lord better, and thereby worship Him more. Carson avoids creating a stereotypically dry academic work. This is doxological, not dry. It is crucial that we understand this Biblical title better so that we can be better readers of our Bibles. My biggest complaint is admittedly unfair: I wish this were a full-length treatment on the subject. I know I shouldn’t criticize an author for not writing the book I wanted them to write, but this is a bit of a tease and left me hungry for more. I hope that a Biblical scholar will pick up the gauntlet and run with this idea. I am not entirely dispassionate in this request, since I am currently planning a Bible College class that examines Christological and Soteriological titles. A book like this that examined “Son of God” language more thoroughly throughout the Bible would be very welcome! Anyone who is interested in the title “son of God”, and/or how it ought to be translated in Muslim contexts needs to pick this up. More broadly, anyone interested in better knowing Christ and the Word should read Jesus the Son of God. Seriously, reading 128 pages by a solid Biblical scholar to better understand how the Bible speaks about Jesus? Do you really need me to try and convince you?